Fox7 in Austin is reporting that automobile accidents and automobile related deaths are up in central Texas. Fox7 obtained an internal Texas department of public safety document that showed that there were 2726 automobile accidents on DPS patrolled highways in central Texas in 2014 with 152 deaths resulting. It also reported that there were 26,342 automobile crashes on urban roads in central Texas in 2014 with 130 deaths. The lesson to be learned from these statistics is that we all need to be more careful while driving. 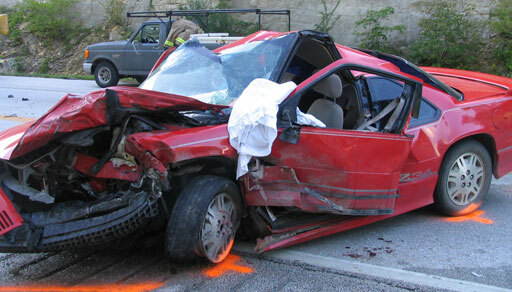 282 automobile related deaths in one year in central Texas are very scary. We often sacrifice basic automobile safety principles when we are in a hurry or distracted. Automobile accidents may be inevitable, but we can take precautions to avoid them and to avoid serious injury and death as a result of accidents. Slow down. Don’t drink and drive. Don’t talk or text and drive. Wear a seatbelt. While there are no statistics in this study regarding these issues, you can bet that a great many of the automobile accidents that occurred in central Texas could have been avoided had these precautions been taken. Further, a great many of the automobile related deaths could have been avoided as well. If you have been involved in an automobile accident and you need to consult with an attorney, please contact us at 512-562-7000 or mbe@elyreed.com.